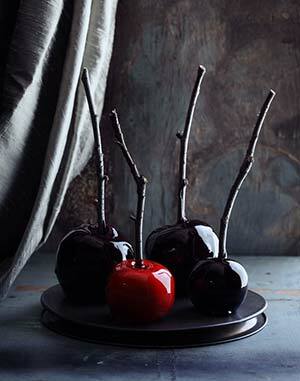 These scary apples look like something the evil queen would try to feed Snow White. 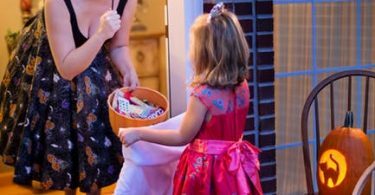 Wow,thanks for the Halloween ideas,these are so cool! Those worms look a little TOO realistic! I’d stick to the multi coloured ones for my party. lol!